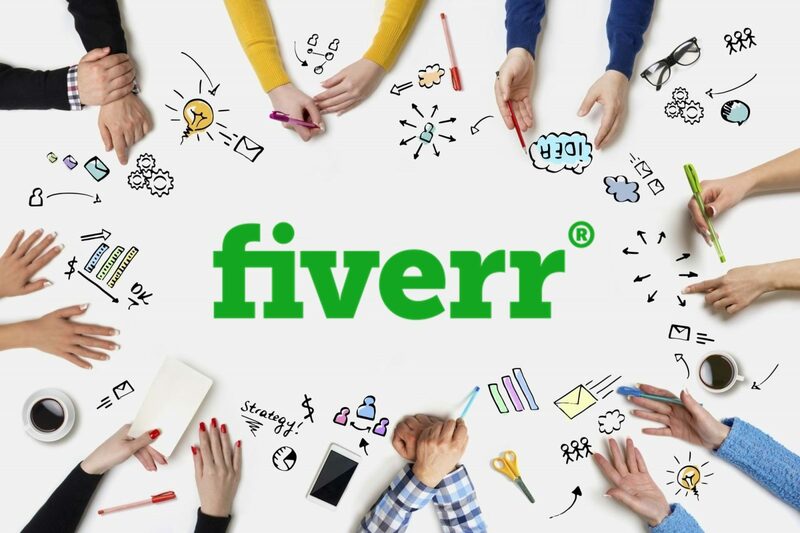 Despite the name ‘Fiverr’, many jobs on freelance marketplace websites cost far more than five dollars (and even the jobs listed at five dollars have a Fiverr ‘service fee’ attached). Each job listed will often have different levels of service at different prices, with the ‘Basic’ (cheapest) price being the one listed in search results. Buyers need to spend a decent amount of time discerning what is included and what isn’t within each package to make sure they’re receiving the right services. Do you need a script? Do you need music? Voiceover? What language will the voiceover be in? How customised does your video need to be? Buying a customised explainer video on a freelance marketplace can be tricky as quite a number of these sites are flooded with ‘template’ video services. A motion graphics video is pre-made by the animator with generic business-related visuals, with your company name and details inserted into the text. They often come with no voiceover and use stock music. Wise to consider if you’re after a unique brand video. 2) How important is your time? Weighing up the devilish scale of time versus money is a difficult task when you’re paying someone else to do a job. Do I spend more money on a production house to make my explainer and have them work on a sliding scale of involvement, or do I spend less money on a freelance bidding site and play ‘quality roulette’, risking the possibility of a poor end product which needs way more editing work than is worth your time? Consider which outcome is most important to you before weighing up the risks. 3) Is it true that ‘you get what you pay for’? It’s easy to moan ‘you get what you pay for’ when you receive a poor product for cheap. But there are far less platitudes to reach for when: A) You aren’t happy even after sinking a shipload of cash into a project; B) You’re perfectly content with a cheaper product; C) Your expensive end product looks and sounds great, but still fails its objectives because of lack of marketing, poor timing, or just plain bad luck. The harsh truth is that effective and ineffective workers exist in all levels of the industry, and no amount of money will buy you good luck. So why bother shelling out the dough for a professional video at all? To use another platitude, ‘You miss 100% of the shots you don’t take’. It’s good business sense to give yourself the greatest chance of success by portraying the most competent image possible. Weigh up your brand’s needs (exposure, conversions, education, etc.) and look at what kind of video production is going to have the greatest chance of getting that return. Remember that if you are a new or developing brand, your budget exists not only in present day logistics, but in the projection of returns you reasonably expect to make. Producing in a cheap-looking video naturally carries a smaller chance of returns, while investing more money in a professional video carries a weighted risk of the investment not paying off. The trick is to be clear on the brand’s purpose and audience before beginning, and being honest with yourself about the importance of the brand’s chance at virality. On freelancing sites, a seller will receive a rating and/or review from customers for their work. In an ideal world, this gives other potential customers an idea of the service they can expect and an incentive for the freelancer to provide competitive, quality work. Similarly when looking for a production company, a potential customer can consult online reviews for the company in the hope of finding out which will best suit their needs. Unfortunately both are capable of being skewed by fake reviews, manipulated with short periods of absurdly cheap and immense work to rack up large numbers of ratings, or misrepresented by old reviews praising a company which is now under different management. Do your research by looking not only at reviews but at the quality of work being produced. An atrocious video is infamous, but a mildly bad video will be clicked away from altogether. If you have a message you want to be taken seriously, then serious effort needs to be put toward its professional (or purposely guerilla) look. Can you find this level of aptitude in both production companies and freelance bidding sites? Absolutely. Can you find stiffly-animated, unoriginal, and boring ideas in both these places as well? Yes indeed, and the trick to telling the difference is all about knowing what you’re in for ahead of time. Regardless of where you’re considering purchasing your explainer video, it’s vital to check out the seller’s showreel. If your video requires a very particular style, resist the urge to be taken in by great visuals done in a totally different style – don’t be afraid to ask the seller about their experience and capabilities in your chosen look. Thirdly, keep an open mind while looking for a video producer, as sometimes the most bizarre styles come back into vogue and many production houses are trained to keep their finger on the pulse of upcoming design trends. — PREVIOUS POSTHow Does Animation Affect Our Daily Life?